Wow. It was great to get away. I love my retreat peeps, but I appreciate not sharing an internet connection with more than Bubba's devices! My pillow gifts were put in a black and white bag, but I never got a picture, sorry. 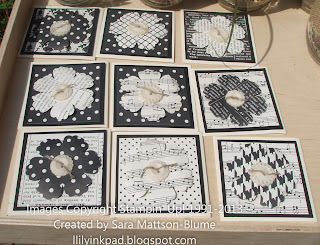 As soon as I saw the Modern Medley Designer Series Paper in the Idea Book and Catalog, I knew I wanted to use this as my theme for pillow gifts. 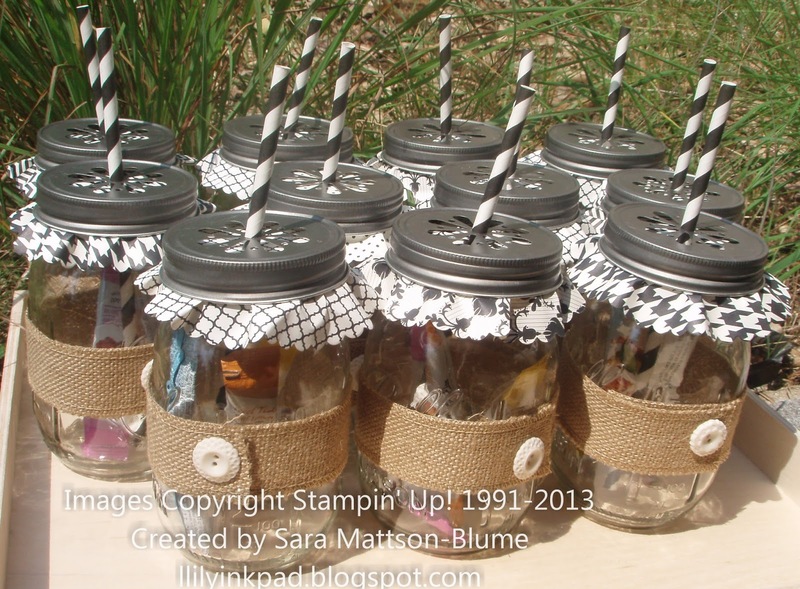 I also knew I wanted to use Mason Jars with the straw toppers. I found the toppers online and ordered them. I saw repeatedly folks using cupcake liners as fun toppers, so I tried using my largest Circle Framelit and it worked! I added a belly band of the Burlap Ribbon from the Holiday Mini Catalog and a Very Vintage Designer Button. 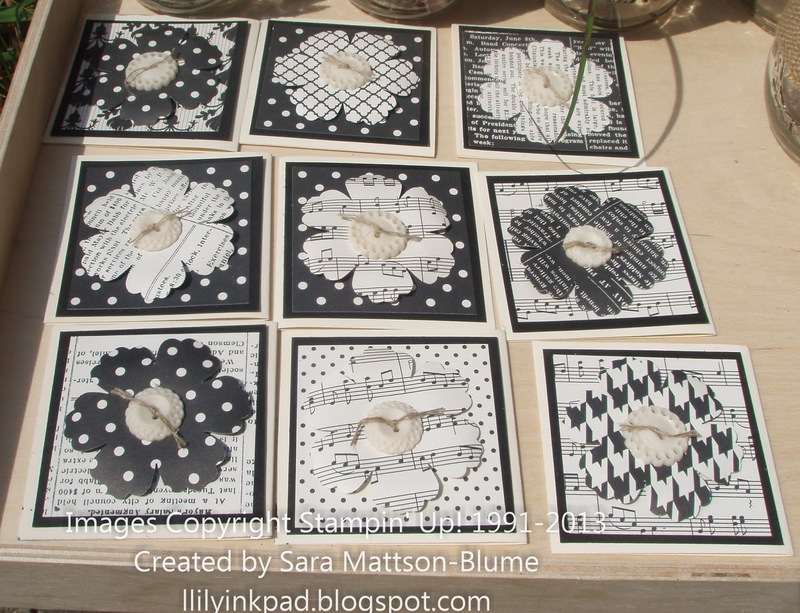 I used the Scallop Circle Bigz Die and the 2 1/2" Circle Punch for my layers. 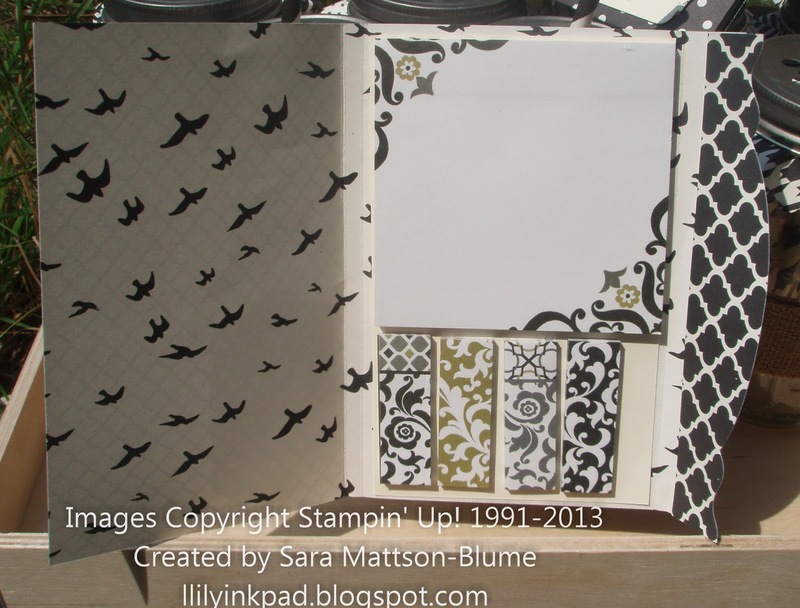 The Very Vanilla Layer was embossed with the Pretty Print Textured Impressions Folder. 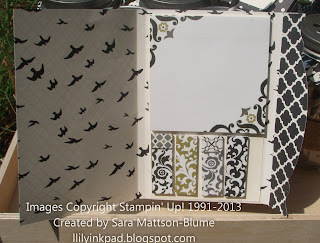 I embossed the Just For You from Label Love in black and punched it with the Artisan Label Punch. I added some Linen Thread. The candy was all black and white for fun. I cut and scored paper that was 8 1/2 by 5 3/4. I then scored at 3 3/4", 4, 7 3/4" and 8 inches. I added a little edge piece that I cut with the Adorning Accents Framelits. I added a strip of Basic Black for a trim. On the front, I added a Chalk Talk Framelit with a saying from the Feels Good Stamp set, which I used my Heat and Stick to adhere Black Glitter onto. Pretty cool effect, I'd say. I used Very Vanilla as the base with a Basic Black Mat. The Modern Medley Designer Paper is a 2 3/4" square with a Blossom Punch flower and another Very Vintage Designer Button for the middle with some more linen thread. Want to join us next time? We are planning our Spring Retreat!